It was a foggy day in December 1926 when a 20-year-old journalist named Peter Ritchie-Calder walked into the Swan Hydropathic Hotel in Harrogate, Yorkshire. He was looking for someone in particular. 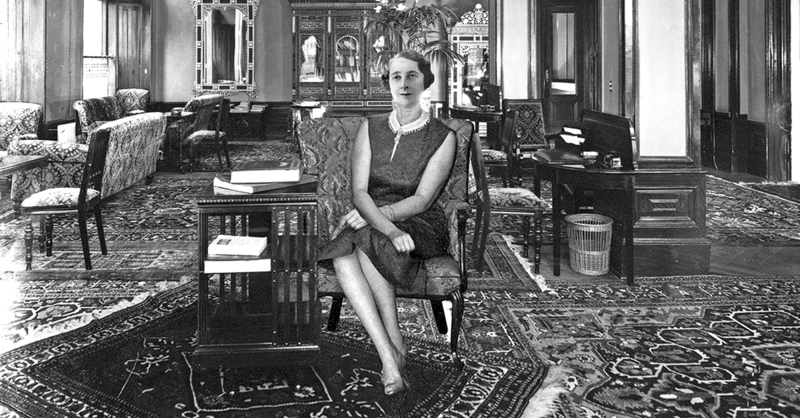 The patrons of the hotel would have known her as Mrs. Teresa Neele of Cape Town. Over the previous week, they might have seen her playing cards, dancing the Charleston, or otherwise seeming to enjoy a delightful stay at the luxurious hotel. But when Ritchie-Calder finally tracked her down, he did not address her as Mrs. Neele. Rather, he used another name, one that many would recognize. The woman he was speaking to acknowledged him, but told him that she was suffering from amnesia. This was the first time that anyone had knowingly seen Agatha Christie, the most famous writer in the world, in eleven days. On the night of December 3rd, not long before 10 pm, Christie had left her home in her green Morris Cowey automobile with a small suitcase. The next morning, that same car was found about 15 miles from the Christie home with the hood up and the lights on. Christie’s fur coat, suitcase, and an expired driver’s license were inside, but Christie herself was nowhere to be found. The world’s greatest mystery writer had disappeared without a trace. 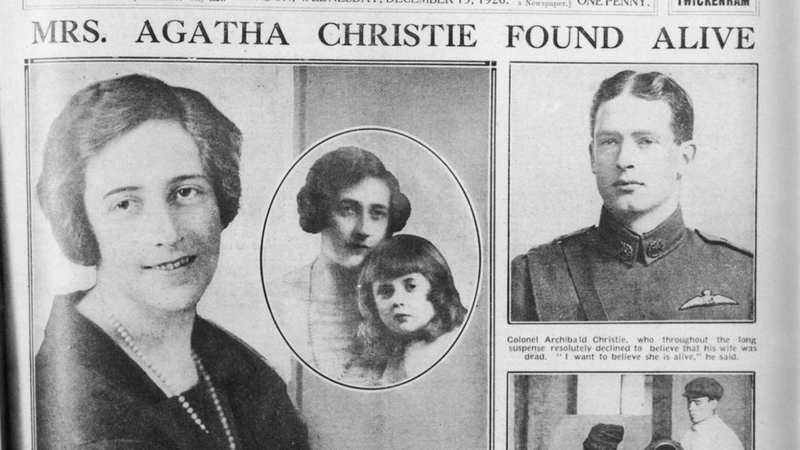 Even before the events of that December night, 1926 had been perhaps the hardest year in Christie’s life. Her mother had passed away after a long struggle with illness, and Christie took it particularly hard. Her grief was made all the more potent as the task of emptying out her family home was left to her alone, which made it difficult for her to focus on writing. It also put a strain on her marriage to Archie Christie, who was growing more and more distant. 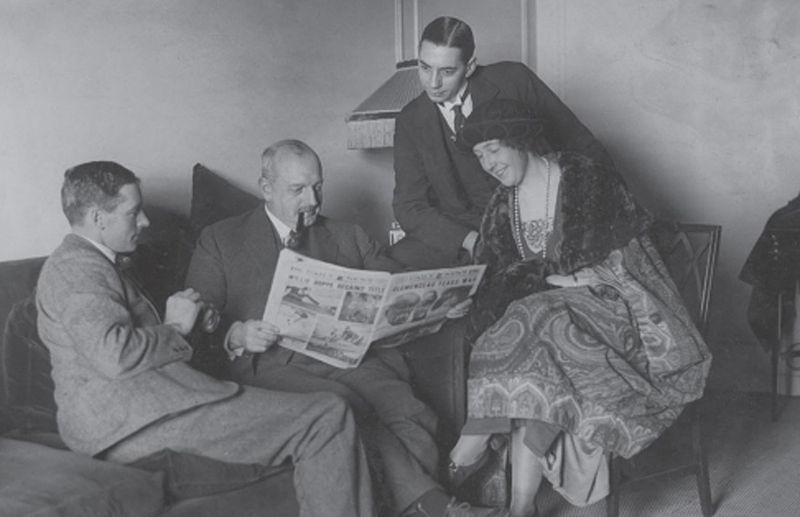 From left to right – Archie Christie, Major Belcher, Mr Bates (secretary) and Agatha Christie. Christie’s annus horribilis culminated in Archie asking for a divorce. As Agatha spiraled in her grief, Archie abandoned her for another lover—a family friend named Nancy Neele, who, unlike Agatha, shared his passion for golf and wasn’t busy mourning a lost mother. Archie, it seemed, did not have the stomach for such things; he was known specifically to hate “illness, death, and trouble” and spent much of Agatha’s mother’s illness away in Spain so he wouldn’t have to be around the unpleasantness of it all. In the months leading up to her disappearance, Christie described her deteriorating mental state. She wrote that her mind was becoming muddled, and that things that had once been clear to her were beginning to become confusing. She became prone to bursting into tears at slight setbacks, and she occasionally struggled to remember her own name. Then Archie demanded the divorce, and things only started to get worse. Whether Christie wanted it or not, her marriage was doomed. Her and Archie did try to work things out, reconciling for a short time, but it was too late—she would later describe that time as “a mistake… a period of sorrow, misery, heartbreak.” On the morning of December 3rd, Archie told Agatha that he was leaving for good. He spent the day packing up his things, and she was devastated. After months of battling a deteriorating mind, this day was, evidently, just too much for her to withstand. Agatha Christie packed her small suitcase and disappeared into the night. 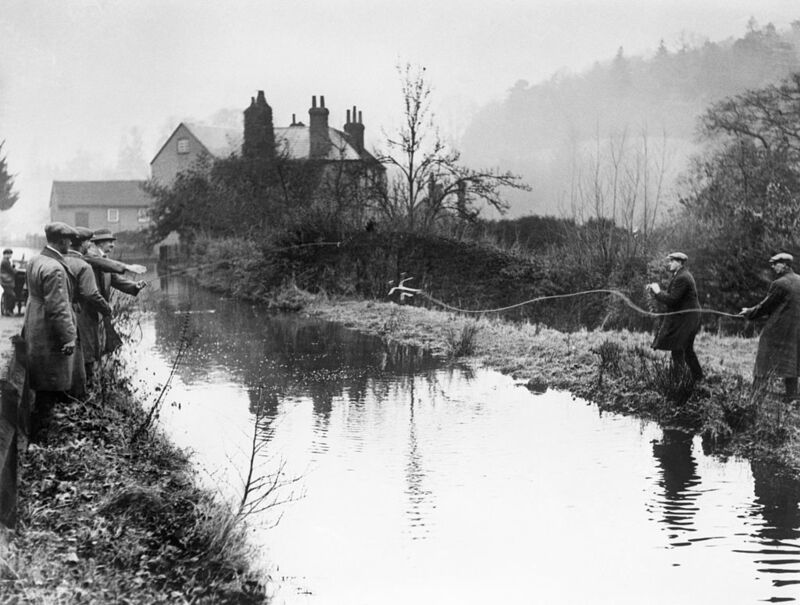 Police search a pond for Agatha Christie’s car. Christie’s disappearance led to an enormous public outcry. On top of the more than 1,000 police officers who took part in the search, another 15,000 people volunteered their services to try and help track down the writer. A few celebrities and acquaintances of Christie’s even stepped up: Sir Arthur Conan Doyle, the legendary creator of Sherlock Holmes, actually took one of Christie’s gloves to a psychic to try and crack the case open. I’m not sure Holmes would have approved of that strategy, but it seems people were willing to try anything. The search for Christie involved countless man-hours. Lakes were dredged, and planes swept thousands of square miles to try and turn up any sign of her. So it seemed rather anticlimactic when it was finally discovered that she had, essentially, been enjoying a brief holiday. She checked into the hotel on December 4th, the day after she disappeared, and had been enjoying its comforts as the world feared for her life. 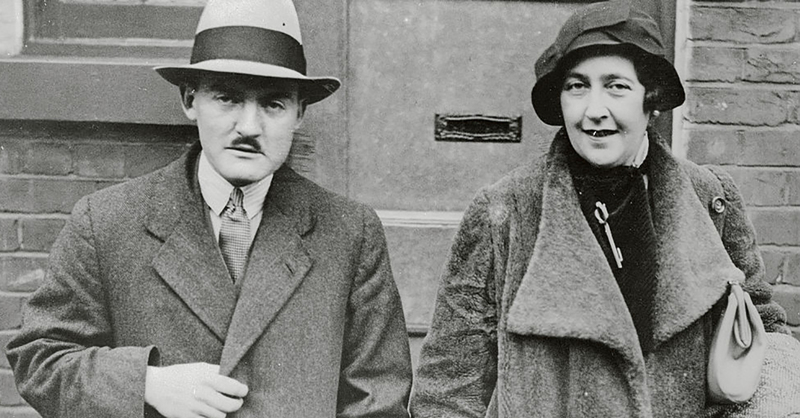 Upon Christie’s discovery, the reaction from the public quickly went from relief to outrage, and it was generally believed that the “disappearance” had been either a misguided attempt to get revenge on her husband, or instead was a publicity stunt devised to sell more of her books. All that worry, only to find this already wealthy woman enjoying a spa-retreat? For many, it was an open and shut case, and Christie’s refusal to speak on the matter only confirmed their theory. Her amnesia was easy to dismiss as a fabrication, and life could go on. When forced to speak on the matter, Christie was adamant that she had no recollection of the time between December 3rd and 14th, 1926, a claim that was corroborated by the doctors who inspected her. While her personal history leading up to the events certainly supports the idea that she had a mental breakdown, no one will ever know for sure what was going through her head during that time at the hotel. But for anyone seeking the answer, she certainly left an intriguing trail of breadcrumbs to follow. Perhaps Christie was hoping someone would discover her at the Swan Hydropathic Hotel. I might remind you, she had signed in as Mrs. Teresa Neele—who, by no coincidence, shared the same surname as Archie’s lover, Nancy the golfer. Most bizarrely of all, she also put an advertisement in The Times in London which simply said “Friends and relatives of Teresa Neele, late of South Africa, please communicate.—Write Box R 702, The Times, EC4.” Was this a cry from help from a woman disconnected with reality? An obscure attack on her husband and his mistress? A red herring meant to distract from what was really happening? If this had been one of her novels, perhaps we would have an answer, but not all stories end that way. Christie did everything she could to move on from this strange chapter in her life, refusing to speak about it publicly—it does not even appear in her biography, though no one could argue this saga was unworthy of being included. We will never truly know what exactly was going on in the mind of Agatha Christie between December 3rd and December 14th, 1926, and whether she was acting out of malice, or desperation, or something else entirely. It would seem that not all mysteries get solved. We don’t always get to see who did it, or why. If nothing else, the disappearance of Agatha Christie, perhaps the greatest mystery novelist of all time, is proof of that.